Pit is a one-eyed rat, but it only takes him 11 minutes to find an unexploded land mine—a task that would take humans up to five days to complete with metal detectors. Pit and his elite team of rats have been shipped from Africa to Cambodia by the Belgian non-profit organization APOPO. The rodents are training to help find the remaining land mines that are still buried in the Cambodian landscape. Since 1979, these the explosives have killed over 20,000 Cambodians and wounded around 44,000. Hul Sokheng, a veteran Cambodian deminer, is training 12 handlers to work with 15 large trained rats to help remove the landmines. "These are life-saving rats," he said. The animals begin training at 4 weeks old, guiding their handlers while tied to a rope and long stick and using their powerful noses to sniff out TNT-scented objects hidden in grassy areas. When they find an object, they scratch the ground—and are rewarded with a banana. They're the ideal animal to use because they're too small to detonate the mines; after a rat indicates that it's found a mine, a deminer confirms the rat's findings and detonates the bomb. 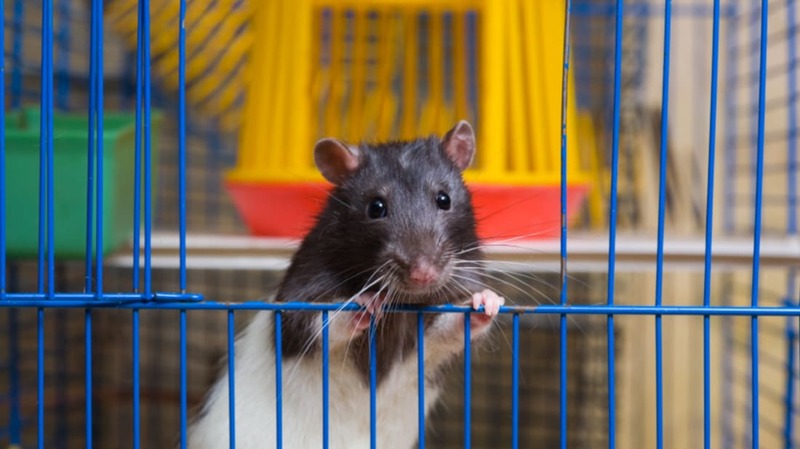 Though rats have a bad reputation, their handlers have come to love them. "They are not just rats, they are like my brothers," handler Meas Chamroeun told the CBC.